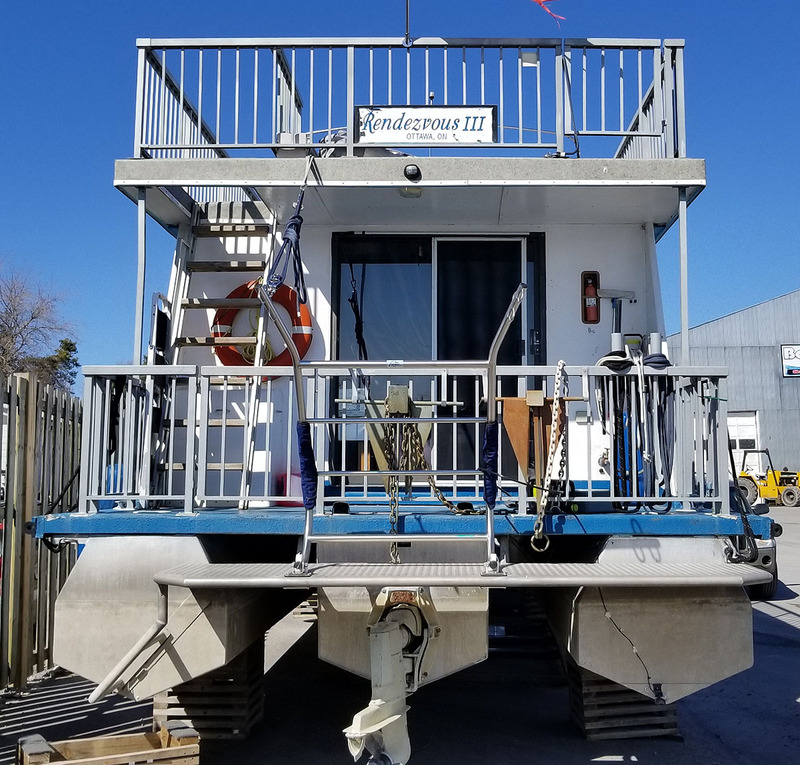 1984 THREEBUOYS 43 FOOT HOUSEBOAT FOR SALE IN THE TRENTON AREA EAST OF TORONTO, ONTARIO, CANADA SIMILAR TO THE 1985, 1986, 1987 AND 1988 MODELS. This boat is equipped with the standard 4 cylinder Volvo 120 HP engine and stern drive. 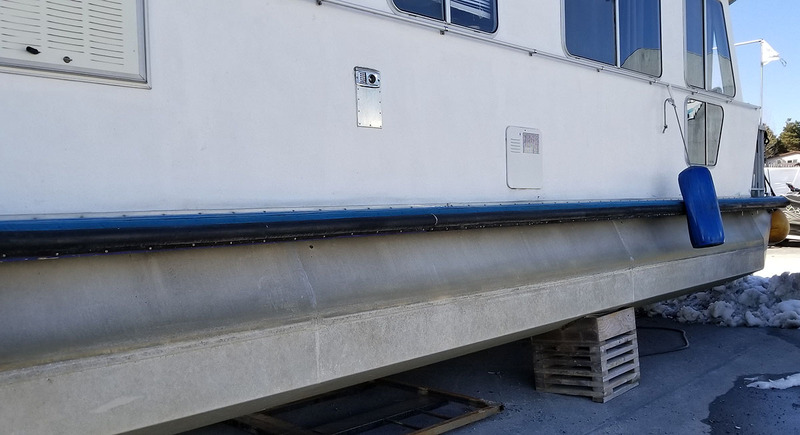 The boat has been owned by it's current owner for over 15 years and as a retired diesel engine mechanic ... he has done lots of upgrades and the boat is SOLID. Look at them closely. 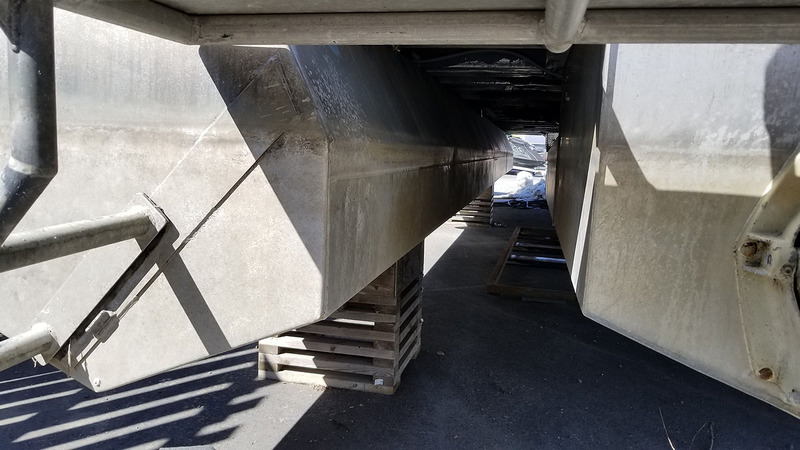 None of the 3 pontoons has any sign of heavy impact damage or repair. They do not leak ... and never have. 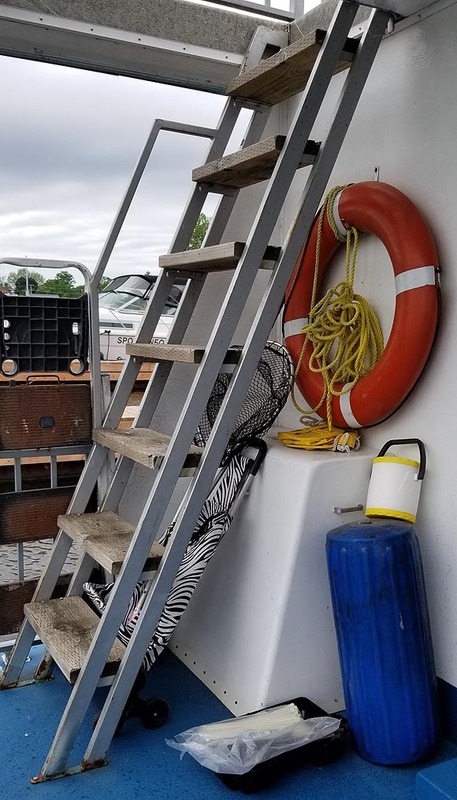 The walls are not "wavy" as most boats of this era have and we know the upper helm station, floor and railings are in excellent condition because this is our marina-neighbours boat and we have spent many hours up top and in the cabin. We have seen this boat leave and return to the dock many times and travelled on it often. What we haven't seen or heard of is the owners need for a mechanic or parts that needed to be replaced. This ... is an excellent boat that has been a quality live-aboard in Trenton for many years after being purchased in the Ottawa area. It is a FRESHWATER Ontario only houseboat. 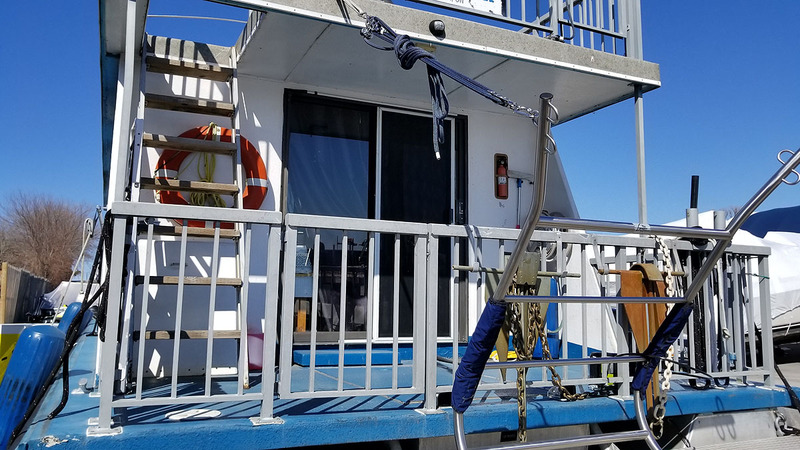 Feel free to compare this houseboat to others advertised on YachtWorld.com or BoatDealers.ca and remember that the price of this boat is in Canadian Dollars and is already in Ontario. 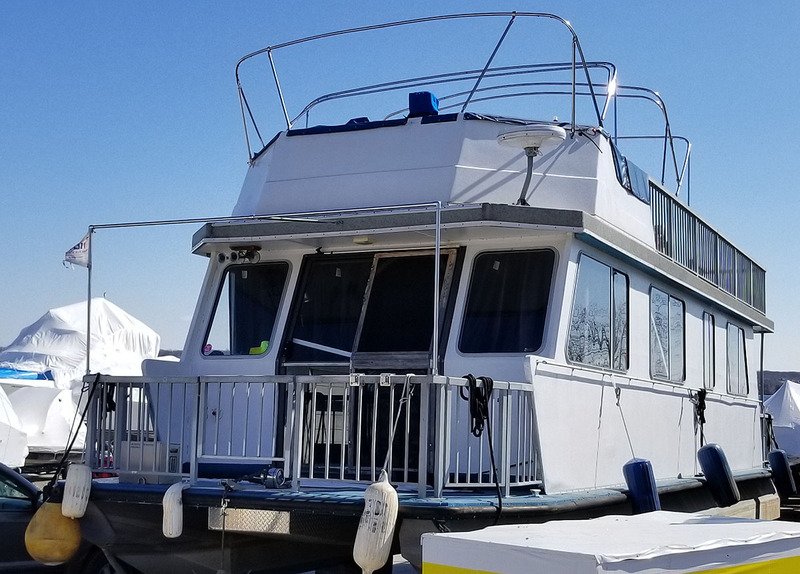 Arrange for your personal inspection of this boat by calling 905-626-5487 or emailing murray@ontariomarinebrokers.com . 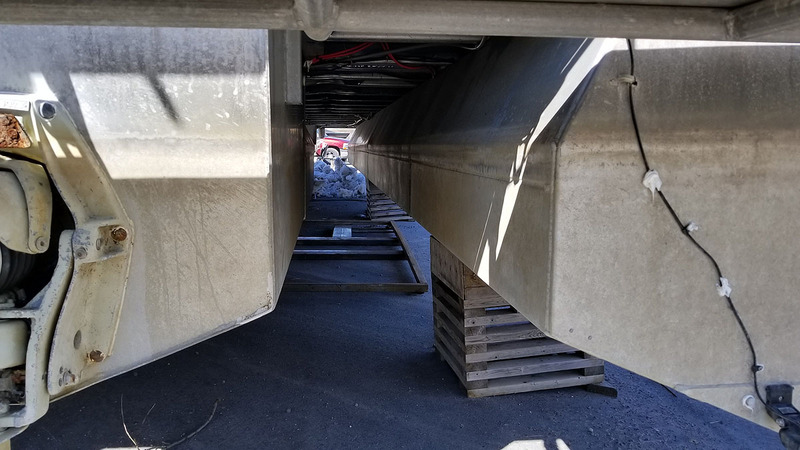 Arrange for your personal inspection of this boat by calling 613-227-BOAT (2628) or emailing murray@ontariomarinebrokers.com . Peterborough, Brighton, Trenton & Belleville areas from our slip in Trent Port Marina in Trenton east of Brighton and west of Belleville.